Have a Better Home with KDC. Concrete roof tiles come with many intricate architectural designs and shapes, mainly: Flat Profile, Low Profile, and High Profile roofing tiles. There are also many other styles such as Mission, Roman, Double Roman, Villa, Estate S-Tile, Slate, Shake, Spanish, Flat, or Barrel. Because of this, many different aluminum mold designs need to be manufactured or purchased by the manufacturers of concrete roof tiles. Kinetic Die Casting makes aluminum roofing tile plate. Kinetic Die Casting Company (KDC), one of the leading companies when it comes to die casting, has been manufacturing aluminum die casts for different purposes like tile molds since 1994. They produce lower price and high quality aluminum or zinc die cast parts, high pressure part die castings, aluminum part castings, and aluminum die castings for different industries. These industries include: Lighting Companies, Hand Tool Manufacturers, Automotive Part Manufacturers, Military Parts Manufacturers, and Roofing Tile Manufacturers. They have been making die casting parts in zinc alloys for the past eight years now but they specialize in making Aluminum Die Casting Parts. 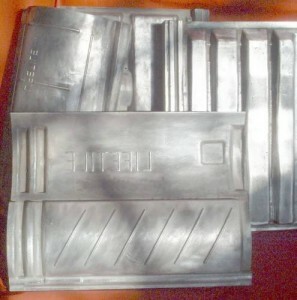 Aluminum molds for roof tiles are made by Kinetic Die Casting. 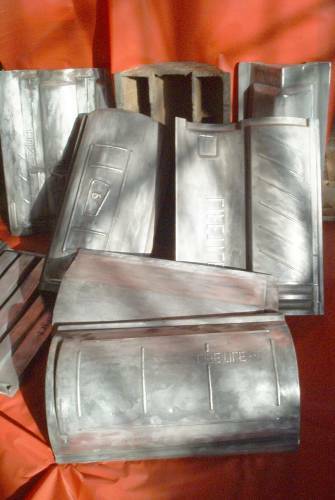 They make versatile aluminum molds for concrete roof tiles. Homeowners and other customers should consider buying concrete roof tiles made from aluminum molds. Since a concrete roof tile’s weight is around 400 pounds, the house needs a strong substructure in order to carry its roof’s weight. 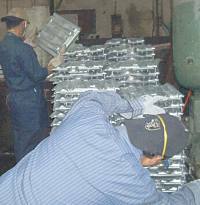 Kinetic Die Casting makes aluminum roof molds and assures customers that their aluminum molds remain in shape and last for a long period of time. KDC also accept a purchase and delivery of less than 1000 die cast parts. Many of their customers purchase a few hundred die cast parts in one go while some customers buy several thousand parts in one purchase. 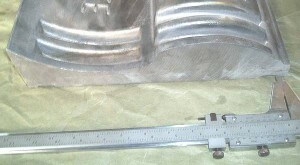 Customers believe that aluminum die casts parts made by KDC are of high quality. 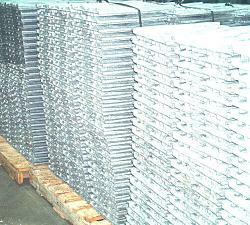 Die Casting Aluminum Molds Production for Concrete Roof Tiles to make concrete roofing. If you are looking for Production of Aluminum Molds for the concrete roofing industry equipment, please call 800-524-8083 or email us at sales@tile-molds.com. This entry was posted in die casting, Tile Molds and tagged Concrete Roofing Tiles, die casting, Roof Tile, Roofing Tiles, rooftiles, TileMolds on June 3, 2016 by admin. Great Service and Quality with Kinetic Die Casting. Kinetic Die Casting Company (KDC) started in North Hollywood California in 1994. The company is a metal part manufacturer of high quality aluminum or zinc die cast parts, aluminum die castings, or high pressure part die castings for a lower price. KDC specializes in aluminum die casting parts but they are now also making more die cast parts with the use of zinc alloys. They have been doing the latter for over eight years now. Why buy from Kinetic Die Casting? They ensure the high quality of the products as well as give a good delivery service that’s why aluminum die cast parts in KDC can be stronger than steel. Having a program in place to prevent quality problems while also having an improvement program to ensure that some problems will not reoccur anymore guarantee the quality of KDC made products. KDC manufactures for many manufacturing industries, such as military parts, medical instruments, automobiles, aircraft, tricycles, bicycles, lighting fixtures, speaker parts, power hand tools,aluminum molds made for rooftiles, computers, and office equipment. They also help customers build up new products. They even accept less than 1000 parts per delivery. Why buy from KDC? KDC also consider many factors in the die casting process. They specially examine and check on product strengths, material types and weights, draft angles, gate areas, slide features, material flow, undercuts, and wall thickness. KDC also has die cast design consultants who help customers with die casting aluminum part design like design concrete tiles and aluminum die casting prototypes as well as die cast tooling, die cast parts machining, and finishing the surface of many kinds of die cast aluminum parts. Since they focus on quality and delivery, they ensure that products made by them are better and stronger. These two factors cause many manufacturing companies to choose KDC and purchase from them than in other companies. Furthermore, they have very good aluminum roofing tile plate quality. Concrete Roof Tile Blog gives information on how to get a Die Casting Aluminum Molds for Concrete Roof Tiles to make concrete roofing. If you are looking for a Design for Concrete Roofing, please call 800-524-8083 or email us at sales@tile-molds.com. This entry was posted in die casting, Tile Molds and tagged aluminium die casting, aluminum parts, American, Concrete Roofing Tiles, die casting roofing, Kinetic Die Casting, Roof Tile, rooftiles, TileMolds on May 27, 2016 by admin. What are the Benefits of Concrete Roofing Tiles? What are the Benefits of Concrete Roofing Tiles? Roof Tiles has become a popular trend for roof protection. Technological advancements have made it more interesting by enabling the manufacturers to produce top-of-the-line roofing system. Roof tiles have been used widely for hundreds of years and concrete roof tiles are considered to be an efficient choice of roofing material. Concrete roof tiles are a great alternative for traditional clay tiles. Innovations in the concrete tile manufacturing have made it possible to create multiple numbers of designs which is at par with other popular roofing tile materials. First, concrete roofing tiles have given homes a distinct beauty and have offered a wide range of economical benefits. Here are some of the concrete roofing tile benefits. Plus, with a concrete-based roofing system, your roof is assured to last a lifetime. That has been proven since there are some structures where concrete roofing tiles lasted for more than a hundred years without replacement. Furthermore, concrete roofing tiles or trim tiles have a wide range of colors and designs that can mimic the appearance of other roofing materials such as clay, slate, and wood. Concrete roofing tiles’ durability can help you save money and effort since they only require a little maintenance. When roof is damaged, only the affected tiles are usually replaced. Also, Concrete roofing tiles have Class “A” fire rating. They can withstand extreme heat and fire. Not only is concrete tiles fire resistant, but concrete tiles offer excellent thermal insulation. They maintain the temperature at your home by keeping it cooler during summer and keeping it warmer during cold climates. Mentioned above are some of the many concrete roofing tile benefits that can be considered in building new structures. Having a concrete roofing system is a good investment to make. Concrete Roof Tile Blog gives information on how to get a Die Casting Aluminum Molds for Concrete Roof Tiles to make concrete roofing. If you are looking for Aluminum Molds for Rooftile. If your company needs an aluminum mold for concrete roofing tiles, please call 800-524-8083 or email us at sales@tile-molds.com. This entry was posted in die casting, Tile Molds and tagged Concrete Roofing Tiles, die casting company roofing, Roof Tile, roofing, Roofing Tiles, rooftiles, TileMolds on May 20, 2016 by admin. What’s Behind the Concrete Roof Tiles? What’s Behind the Concrete Roof Tiles? Today, there are numerous concrete roofing tile companies that can supply and provide high quality concrete roof tiles that will surely meet the customers’ expectations. These companies are also responsible in assisting the homeowner in their roof installation. There are several leading and trusted companies to choose from in the United States and United Kingdom, where concrete roof tiling is widely used. These manufacturers offer great deals for customers’ satisfaction. With these companies, one is assured of world class and high-end concrete roof tiles. Following are some of the international concrete roofing tile companies or tile molds company that are known to bring excellent roofing material services. Boral Roofing, a subsidiary of Boral USA, Boral Roofing is considered to be the largest provider of premium concrete roof tiles throughout the US. This company is also recognized to be the most sustainable roof tile manufacturer. CertainTeed Corporation is said to be the leading manufacturer of building materials in North America. Eagle Roofing Products has been in the roofing industry for over 40 years. Being known to be outstanding in customer service, Eagle has offered state-of-the-art roofing tiles with a wide range of colors. Braas Monier Building Group is known to be behind the UK brand Redland, it is the country’s trusted provider of roofing tiles including concrete roof tiles. Braas Monier is a leading worldwide supplier of roofing materials and has been in the industry for over 90 years. These concrete roofing tile companies are essential in providing durable and long lasting concrete roof tiles. Aside from the cited companies, there are other manufacturers that can be considered. When selecting a roof tile company to be your supplier, make sure that it is licensed. Check the company’s background so that you’ll have an overview of what the company is all about. A trusted company is important in giving you a worry-free and long lasting concrete roof tile experience. 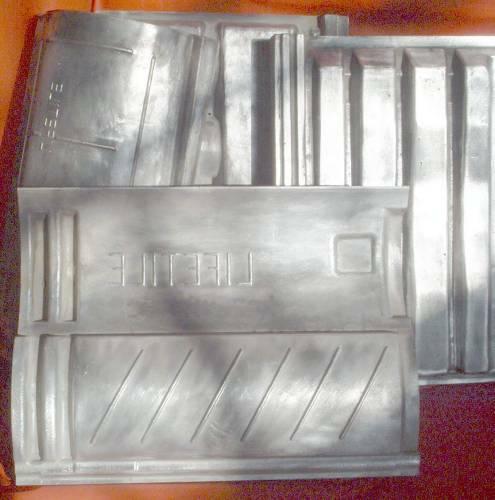 We produce Aluminum Molds for Concrete Roof Tiles, for the concrete tile roofing industry. If your company needs an aluminum mold for concrete roofing tiles, please call 800-524-8083 or email us at sales@tile-molds.com. Stay tuned to our Concrete Roofing Tile Molds website for details and updates. This entry was posted in die casting, Tile Molds and tagged Concrete Roofing Tiles, die casting company roofing, Roof Tile, roofing, Roofing Tiles, rooftiles, TileMolds on May 13, 2016 by admin. Concrete Roof Tiles are Excellent Protection. The roof is one of the biggest elements in a construction that occupies 40% of the visual area seen in a structure. Using a tile roof will add a distinct touch to a structure. Nowadays, different design concrete roofing tiles are in demand in the market, not only for the purpose of roof great protection, but also for strength and creative appearance. One of these is the concrete roof tiles. To begin, concrete roofing tile, what is this? Concrete roofing tile is a type of a roofing tile that is made of sand, cement, and water. Since it is made of concrete, it is expected to be long lasting. Its long history can be traced way back 1884, where the first concrete-based roof tile was made in Europe. After the World war II, concrete roofing tiles made its way in the southwest part if the united States. For over 100 years, concrete roofing tiles have proven its durability and beauty. Furthermore, concrete roofing tiles are resistant to extreme heat, hail, and strong winds. They are available in different colors and styles. They can be produced to look like slate, wood, and clay. They are also low maintenance, too. They are energy efficient, which can save you from spending too much. Concrete roofing tile, what is this? In general, it is a sustainable roof covering that can last a lifetime. Many concrete roof tiles now are manufactured with innovations such as reflective surfaces that can add to the homeowner’s comfort. With its aesthetic appearance and durability, no wonder why its demands are growing. So if you’re building a home, or replacing your roof, concrete roofing tiles are a great choice. Prices for aluminum roofing tile molds made by die casting for concrete roof tile machines and roofing industry. Contact us if you are looking for Tile Mold Pricing for aluminum molds for the concrete roofing industry equipment, please call 800-524-8083 or email us at sales@tile-molds.com. This entry was posted in die casting, Tile Molds and tagged Concrete Roofing Tiles, die casting company roofing, die casting roofing, Roof Tile, Roofing Tiles, rooftiles, TileMolds on May 6, 2016 by admin.